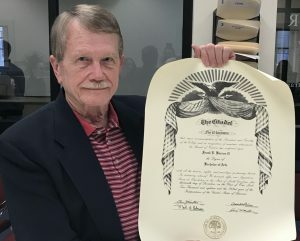 “I guess I’m just one of the soldiers trying to get up every day and do my best to be part of the solutions.” – Conway Saylor, Ph.D.
Citadel professor Conway Saylor, Ph.D. is one of the local leaders being honored for serving and uniting members of the community. 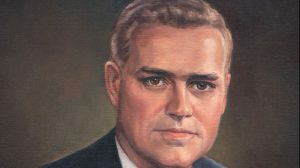 The 2019 Rev. Dr. Martin Luther King, Jr. Picture Awards, hosted by Rep. Wendell Gilliard on Jan. 29, presented 14 awards to the selected individuals for going above and beyond the call of duty, demonstrating that they are keeping the dream of Dr. King alive. Saylor, a professor of psychology, is the director of service learning and civic engagement for The Citadel’s Krause Center of Leadership and Ethics. 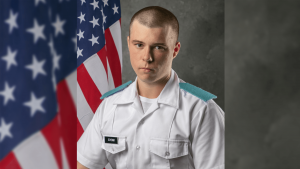 Saylor developed more than 35 partnerships between The Citadel and the Lowcountry community, and created the programs through which cadets and students serve those partners. One of the partners is Charleston County School District’s Title I schools served by volunteer cadets regularly. Through Saylor’s leadership Citadel cadets, students, faculty and staff provide more than 20,000 hours of volunteer service annually. 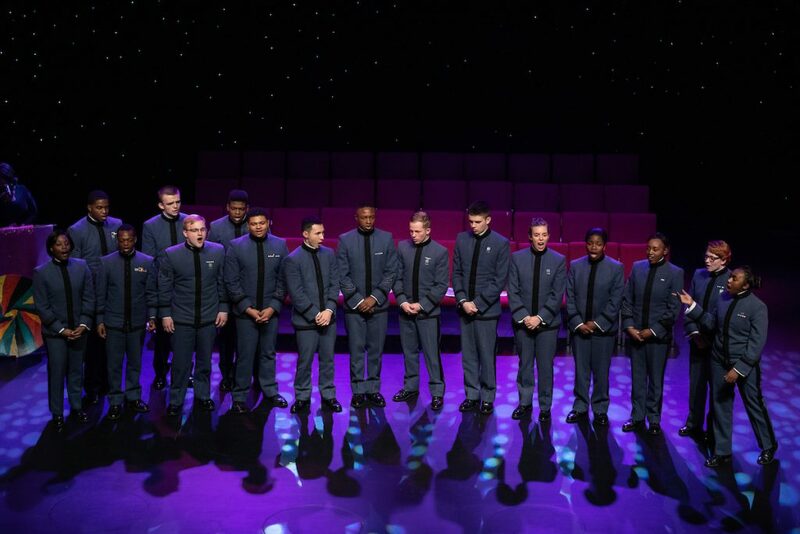 The Citadel Gospel Choir also performed at the ceremony, featuring a solo by Cadet Christina Capers. On February 24, the choir will perform in a Black History Month concert in Summerall Chapel. More information on the concert can be found here. 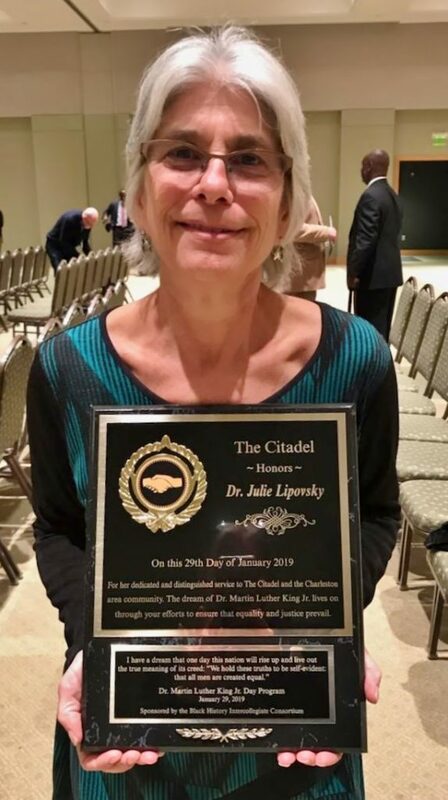 Also on Jan 29., Citadel professor Julie Lipovsky, Ph.D. was recognized as the college’s 2019 recipient of the Black History Month Intercollegiate Consortium’s MLK award. 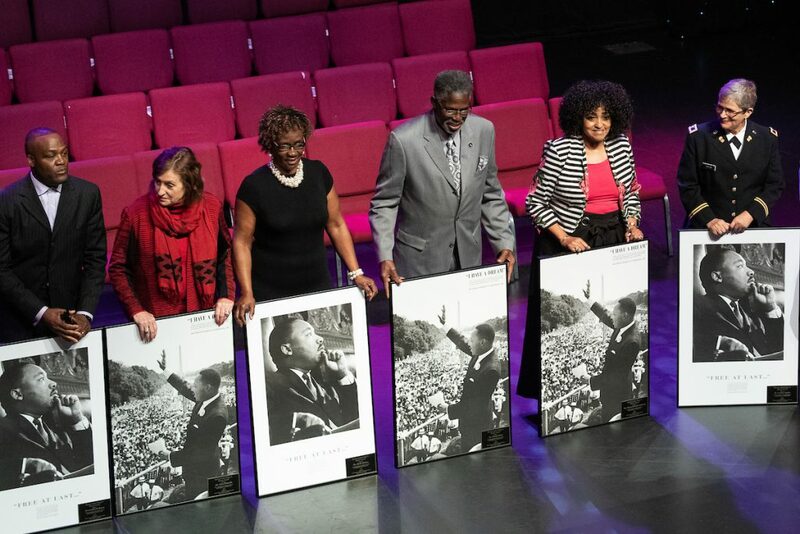 The Consortium, which works to promote the study of Black History, is comprised of representatives from Charleston Southern University, College of Charleston, Medical University of South Carolina, The Citadel and Trident Technical College. Lipovsky, a professor of psychology, served as The Citadel Assistant Provost for Diversity and as a co-chair of the Diversity Equity and Inclusion Council for years. 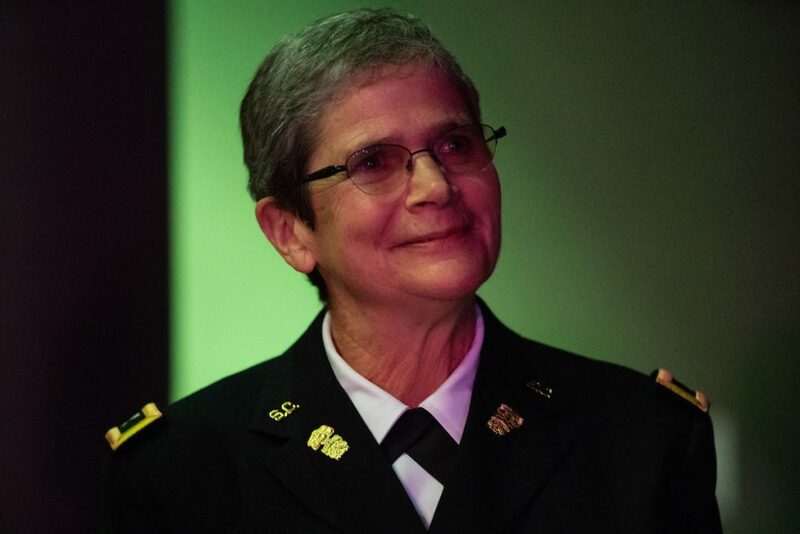 She currently serves as the team leader for the National Coalition Building Institute program at The Citadel and has had direct involvement with more than 1000 faculty, staff, and students receiving diversity and inclusion training through the NCBI program since the program was introduced in 2011.